As one of the most in demand key services for female seafarers and their dependants, the Department of Obstetrics and Gynecology at the AMOSUP Seamen’s Hospital has been in the frontline for women’s medical and health care. The Department, which receives an average of more than 4,000 patients a year, deals with all types of medical cases related to female reproductive organs’ health and pregnancy management. Under the chair of Dr Lazarito Villamar, the Seamen’s Hospital’s OB-Gyn Department also promotes the hospital as a centre for training for residents-practitioners and continuing medical education of its staff. OB-GYN of the hospital is among the departments that promote education on women’s health. Specifically, it also carries out regular lectures on pre-natal, breastfeeding, family planning, and disease prevention such as cervical cancer, being the second most common ailment in women. It offers easy access to anti-cervical cancer vaccines for those who wish to get vaccinated. Dr Villamar says the department also carries out family planning lectures apart from treating all related ailments on women. At the same time, he says they also motivate female seafarers to undergo test for the prevention of cervical cancer, a major illness among women next to breast ailment. The department has eight consultants and another eight resident doctors on training who comprised the hospital’s vital service in providing optimum health care in the field of Ob-Gyn to AMOSUP members and their dependants. The hospital will soon enhance its information dissemination within the hospital, specifically, on women seafarers’ health, updates benefits for women under the Republic Act 9710 otherwise known as the “Magna Carta for Women” and provide useful tips to help women seafarers handle gender-related issues especially when they are at work. Since 1992 the department had been accredited for service and since 1996 for training by the Department of Health. The department’s office is located at the second floor of the Hospital’s main building and the OB-OPD is on the first floor. It has been renovated to satisfy the needs of a modern obstetrical department. The department provides a total of 38 service beds and boasts of a breastfeeding ward, which is accredited by the DOH as a mother-baby friendly hospital in compliance with Republic Act 7600 or The Rooming-In or Breastfeeding Act of 1992. 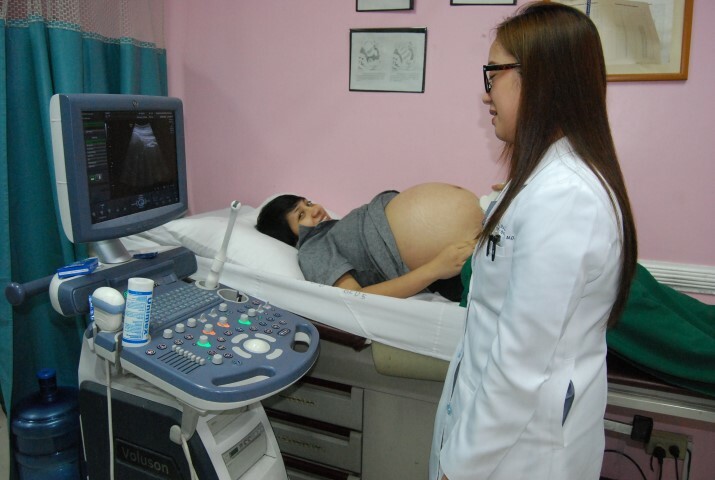 The department is also equipped with modern diagnostic technologies like laparoscope, hysteroscope (both diagnostic and interventional), colposcope, ultrasound machines, and fetal monitors and modern laboratory technology for diagnosis and evaluation of medical cases, as well as the experts in the field of OB-Gyn. The Hospital recently acquired modern laboratory facilities to house its own histology section for the preparation and interpretation of slides and specimens for biopsy and histologic diagnosis. Laboratory equipment for diagnosis are state-of-the-art that is required by modern times. The department has gone a long way since its conception in 1978. Today, it continues to serve the obstetric and gynecologic needs of the seafarers’ dependants.